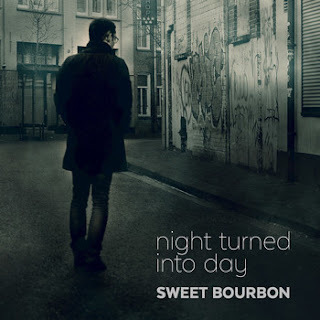 I just had the opportunity to review the most recent release, Night Turned Into Day, by Sweet Bourbon and it's diversely cool. Opening with swamp rocker, 2nd Wallstreet, this 8 piece band shows true boogie lines. Led by Rene' von Onna on vocal, this band is moving featuring Martijn Cuypers on drums, Chris Janssen on guitar, Willem van der Schoof on keys and Sonja Walters, Susan Watteimena and Laura van der Vange on backing vocals. On shuffle track, Texas Woman, Janssen and van der Schoof really wind it out and vocal harmonies are tight. One of my favorite tracks on the release is Cool Down with it's funky rhythm and saturated guitar solo. Very cool! Got To Say Goodbye is another favorite track on the release with a David Bowie - Ziggy Stardust era quality that is hard to explain. I just like it. Bluesy ballad, Swan, has a strong melody and nicely blended vocals capped by a dynamic organ solo by van der Schoof. Wrapping the release is Enfants Terribles, a cool, funky fusion number featuring a hot lead guitar melody and continued keyboard lead by van der Schoof. Excellent closer.